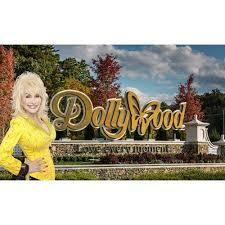 Summertime at Dollywood is one of the best times to come for a visit! The Park has extended hours from 10 a.m. to 10 p.m. starting June 16th and running through August 5th, families will have an opportunity to enjoy everything the park has to offer. 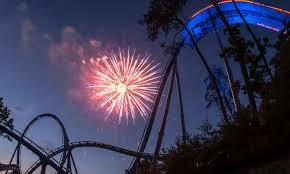 Award-winning attractions like Wild Eagle and Lightning Rod will be available to experience well into the night along with some new additions for 2018! Watch as this high-energy drumline brings music to life right before your eyes! With eye-catching choreography, groovin’ beats, and and synchronized movements, this performance is not to be missed. Based on the 2002 hit movie, Drumline, Drumline Live is not your typical halftime show! 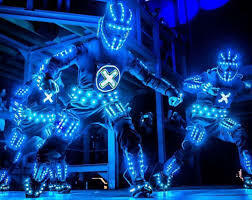 As one of the America’s Got Talent finalists, iLuminate uses electronic costumes and light effects to put on an unparalleled performance. You’ll have to pick your jaw up off the floor before leaving this performance. You’ve never seen anything like iLuminate! Music and art combine in Paint Jam. This riveting piece of performance art captivates Dollywood guests using vibrant colors, speed painting, and upbeat music for one awesome show. 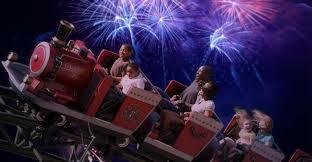 Also enjoy their nightly fireworks display to end a wonderful summer evening! Call us today or visit our website to come for a summer visit. Not only will you relax and enjoy your visit with us Dollywood is open longer hours and have a ton of new things this year! Hope to see you soon!